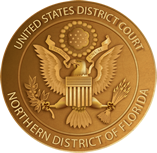 The United States District Court for the Northern District of Florida has revised its Local Rules. The revised rules are now in effect. The revised rules include significant changes from the prior rules. And the revised rules include changes from the draft that was circulated for public comment in May 2015. The full public notice, which includes a summary of the most significant changes is available here.